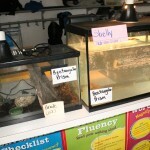 Watch your step when entering one of the many science classrooms at Ronald Brown Academy. 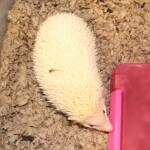 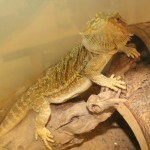 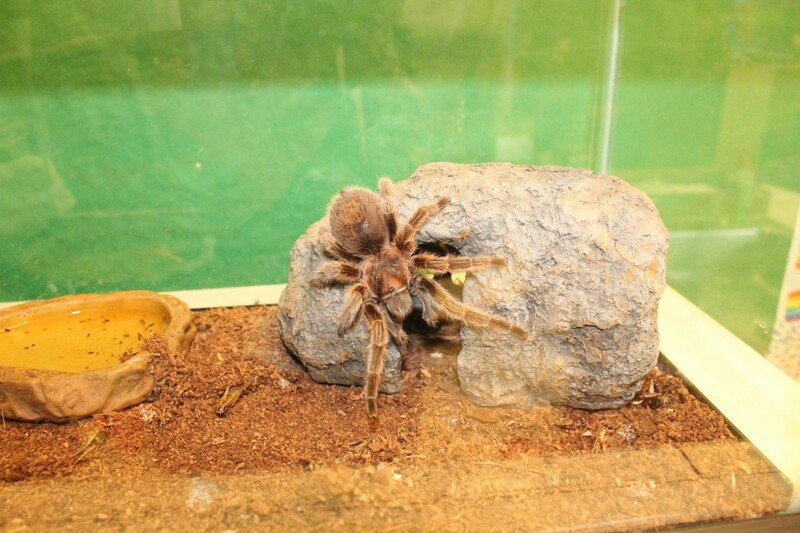 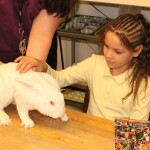 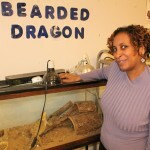 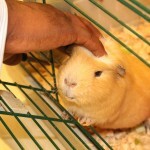 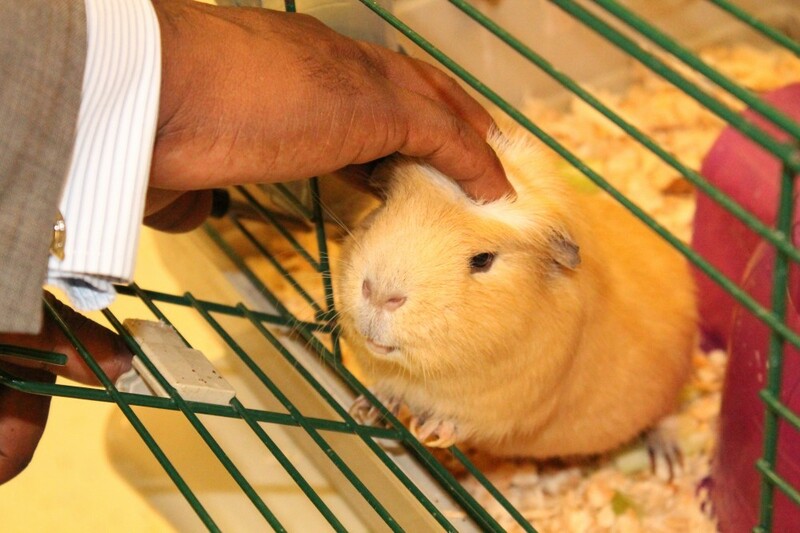 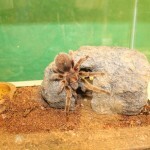 You may stumble over a bushy-tailed, pink-eyed bunny rabbit, a hairy tarantula, or a slithering corn snake. 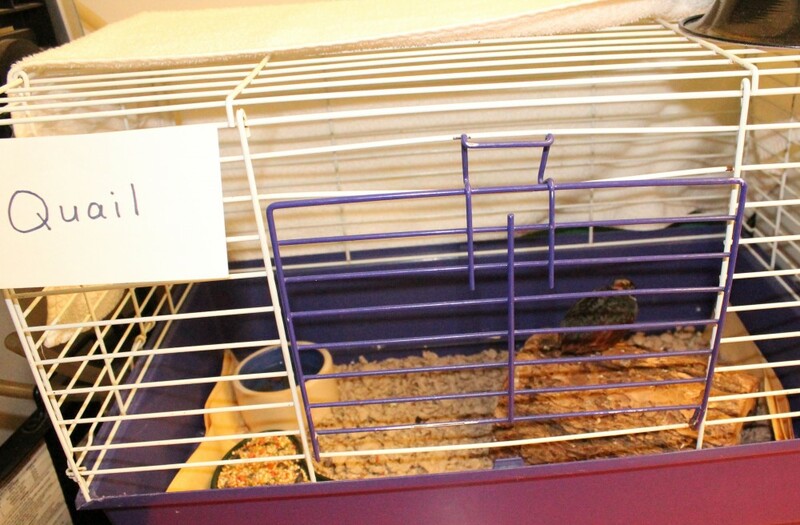 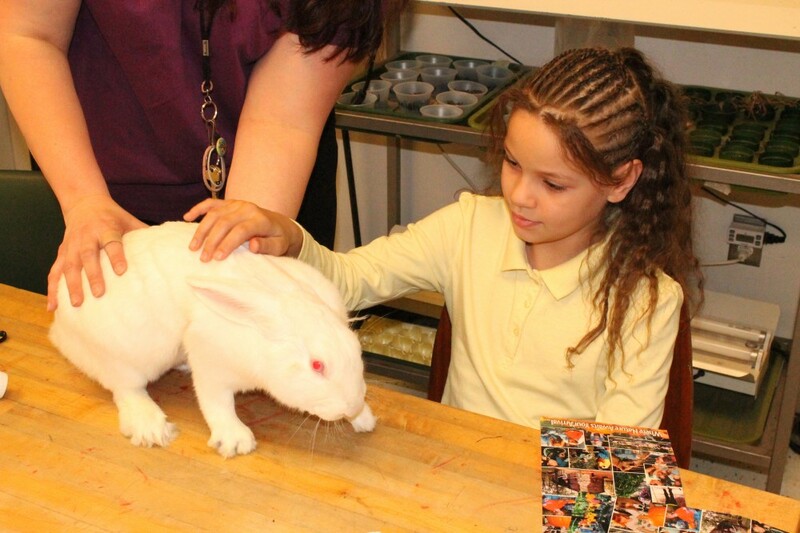 Well…only the bunny really scurries freely in the classrooms. 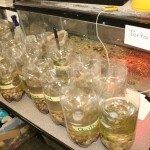 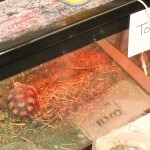 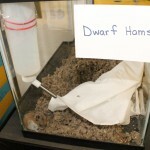 The other critters are safely secured in their glass tanks. 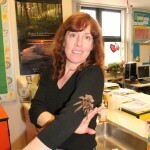 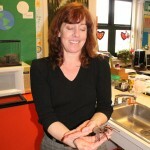 But if you’re as brave as the teachers and students of Ronald Brown, you’re welcome to come and play with any of these friendly creatures. 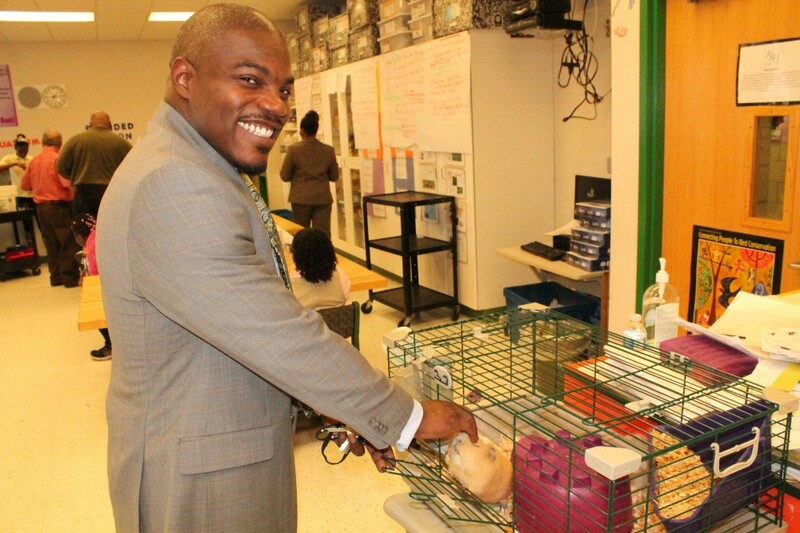 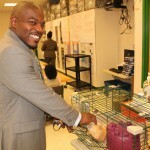 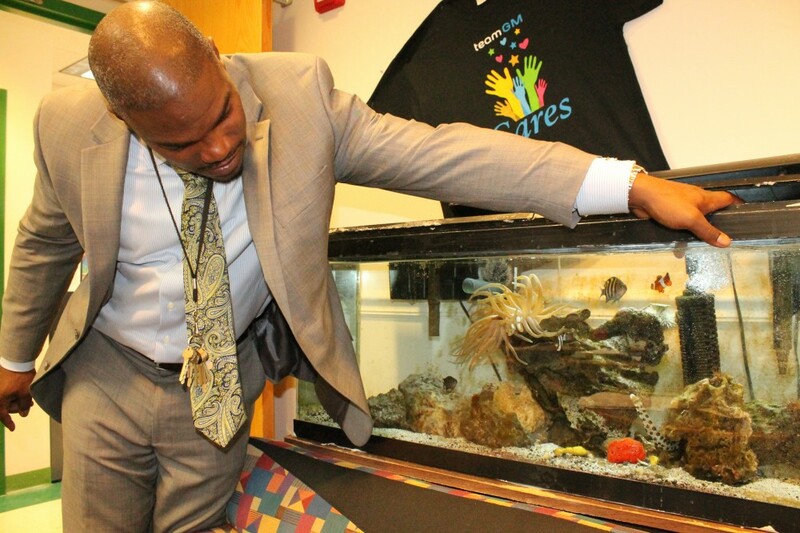 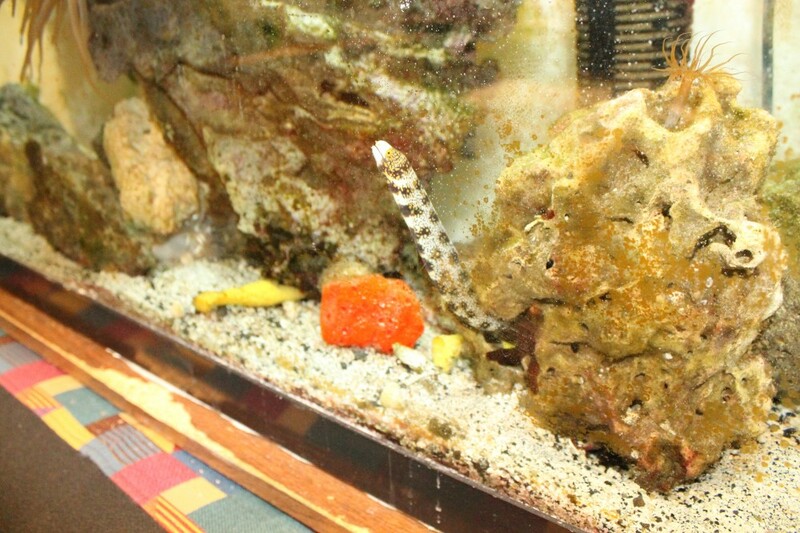 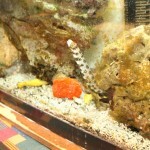 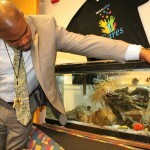 When Principal Damon Sewell is asked what is the “it” factor of Ronald Brown, he quickly replies science, while sticking his hand in a salt-water fish tank purchased through grant funding filled with eel, corals and other marine fish that resemble the characters of Disney’s Finding Nemo. 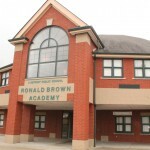 It’s obvious that an added emphasis on the science curriculum is one of the key elements to the foundation of Ronald Brown. 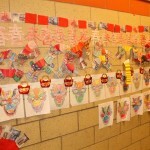 But there is much more. 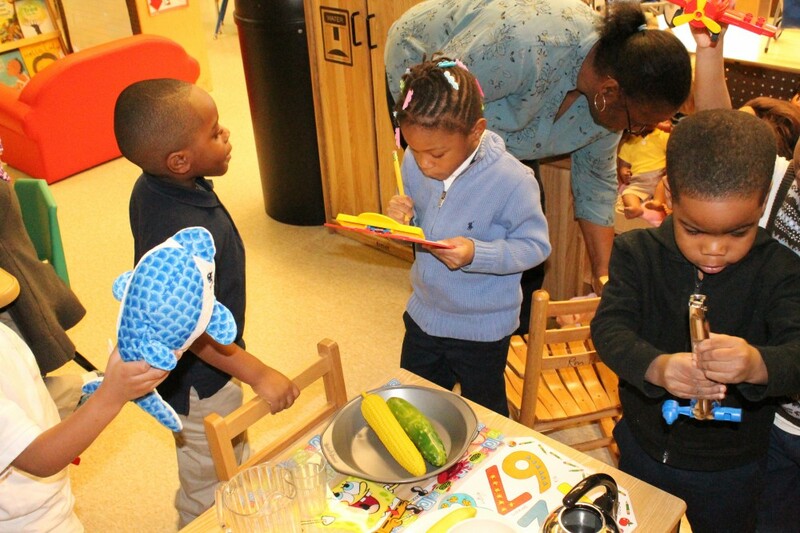 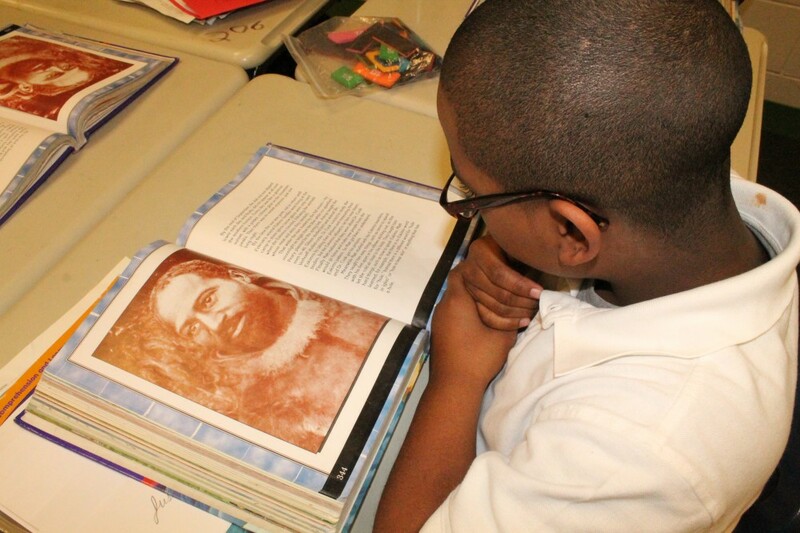 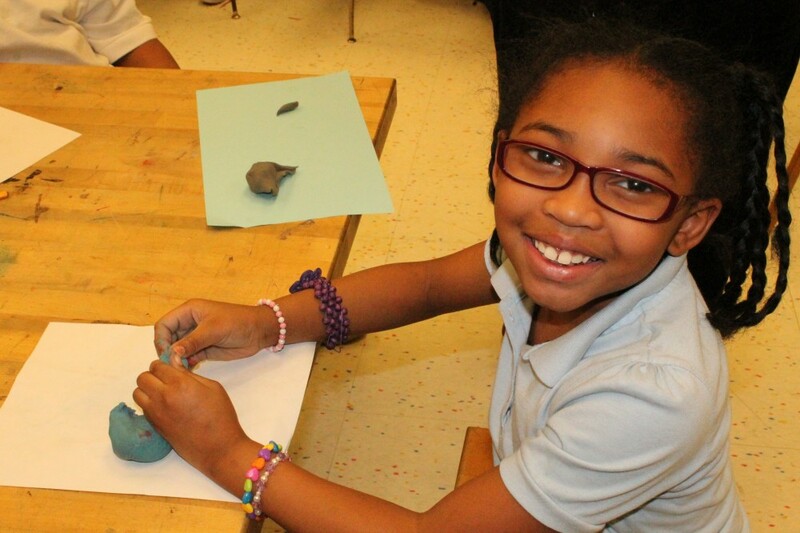 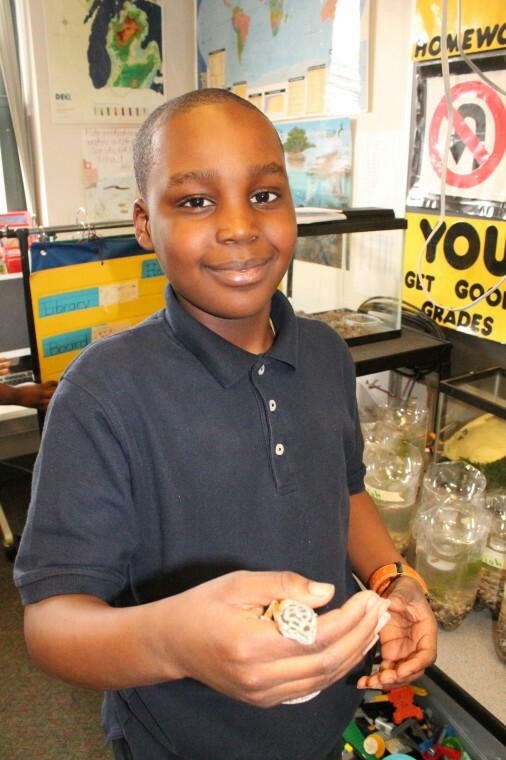 The many hands-on programs created to intrigue students in all subjects ensure parents won’t have to think twice about their children receiving a high-quality education at this eastside gem. 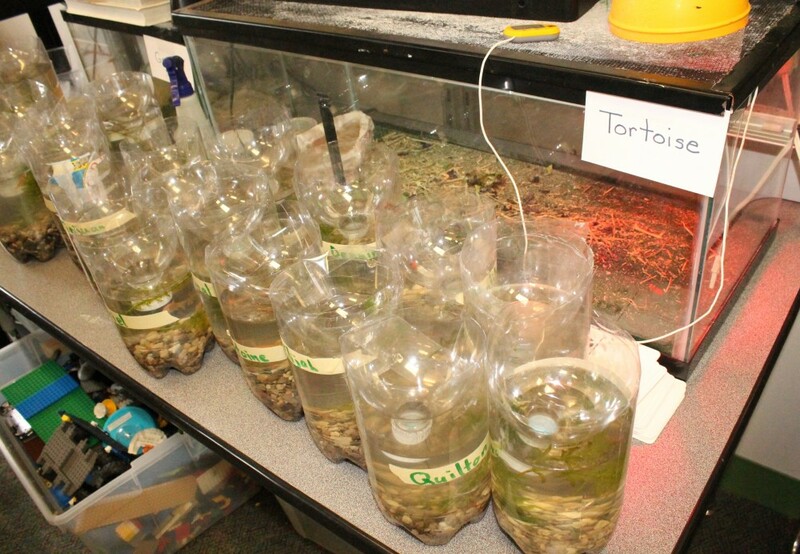 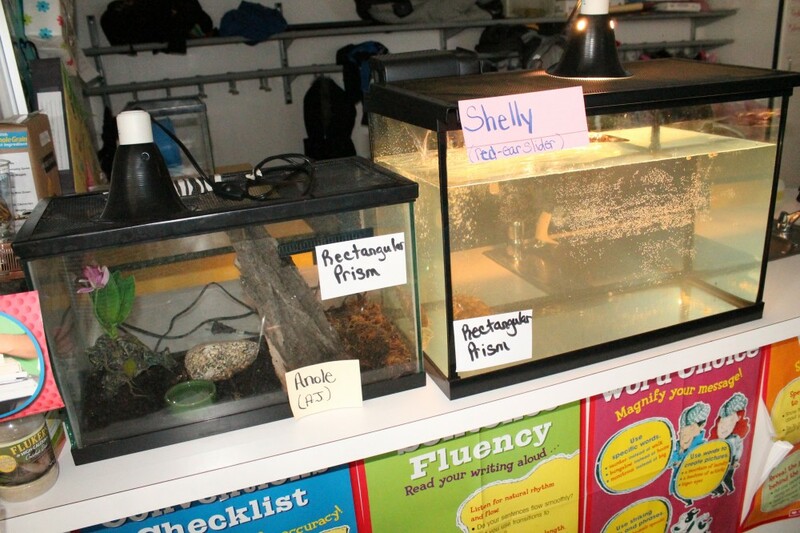 Jennifer Edwards, Title 1 Science Teacher, is collaborating with the Hawk Woods Nature Center in Auburn Hills to have her students create ecosystems out of two-liter bottles. 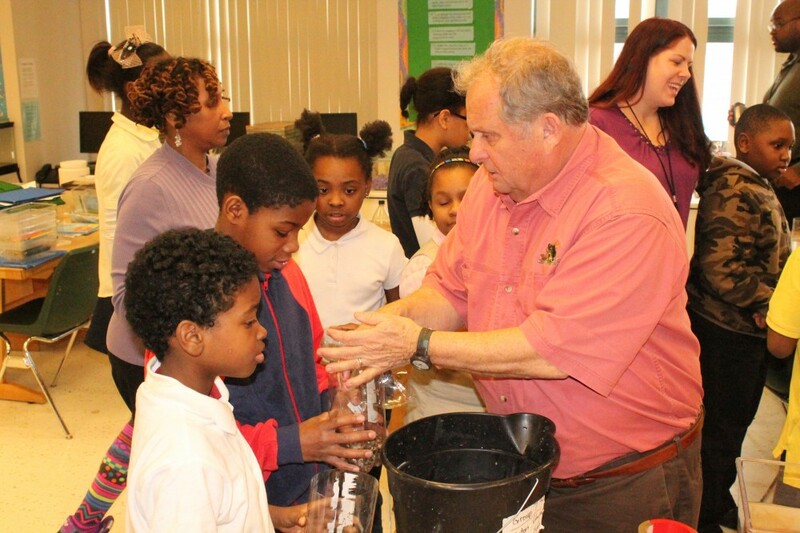 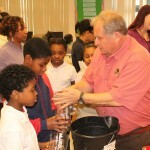 Later in the school year, the students will travel to the nature center to scoop and examine pond water. 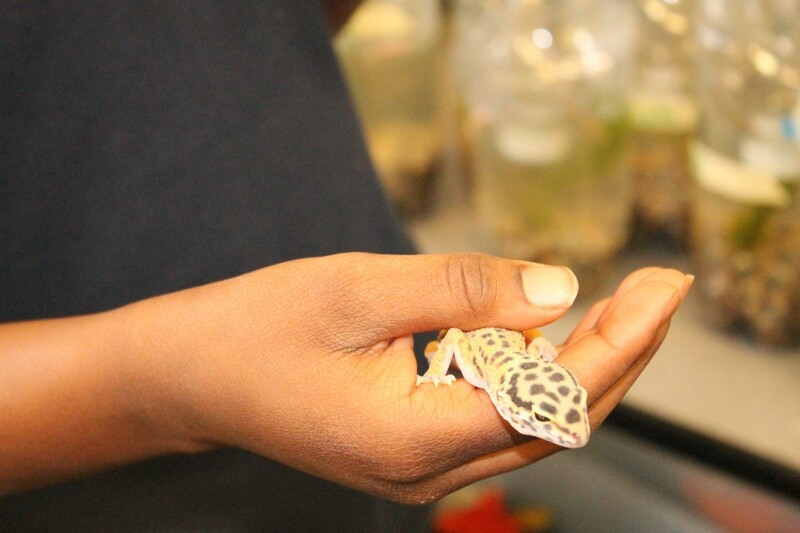 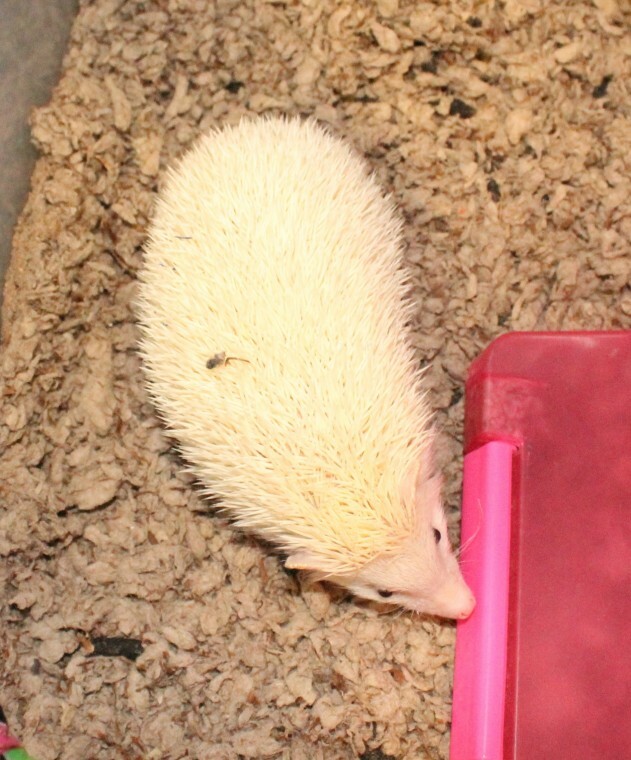 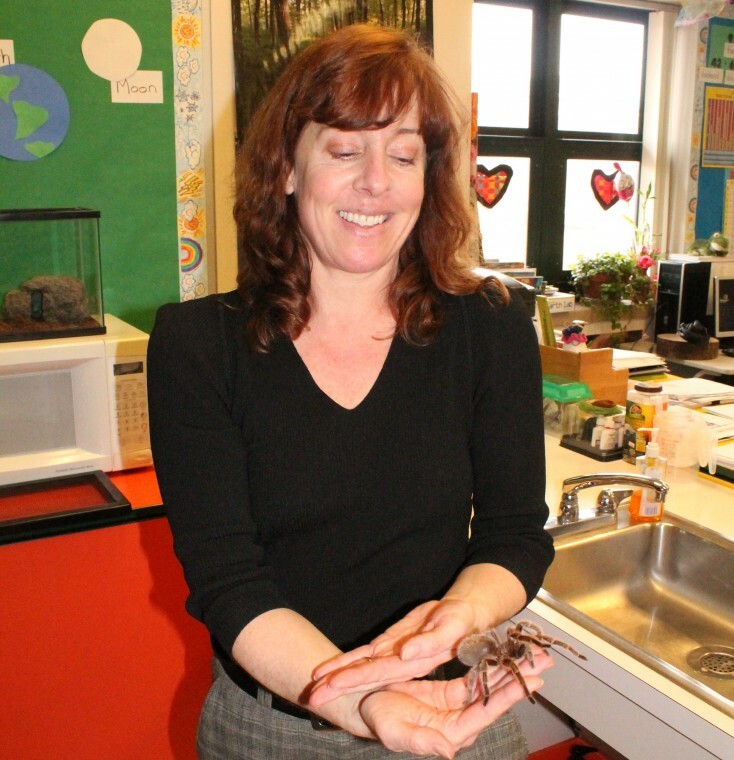 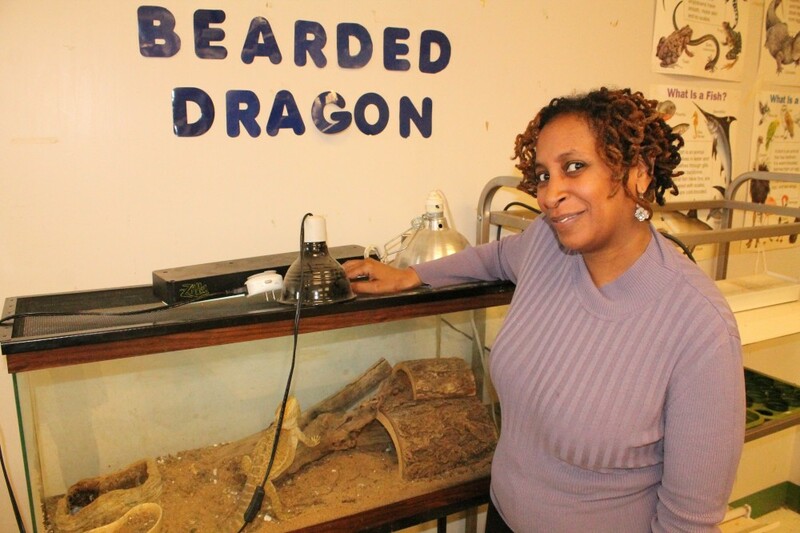 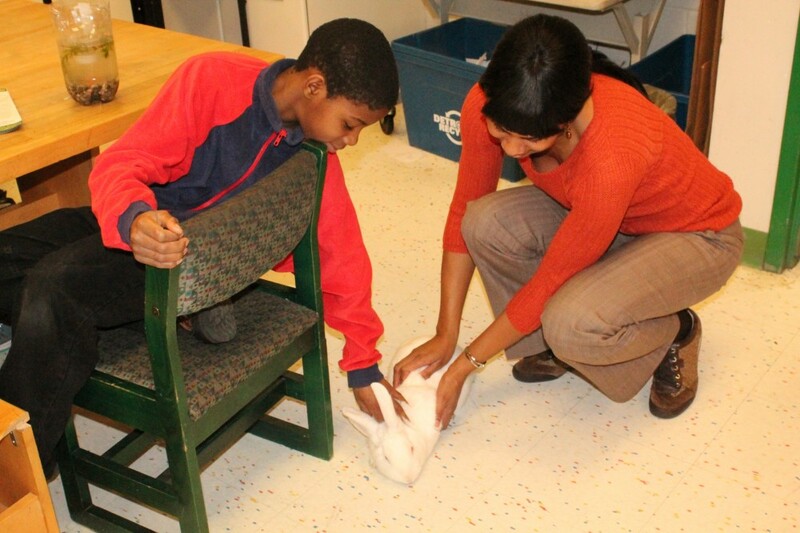 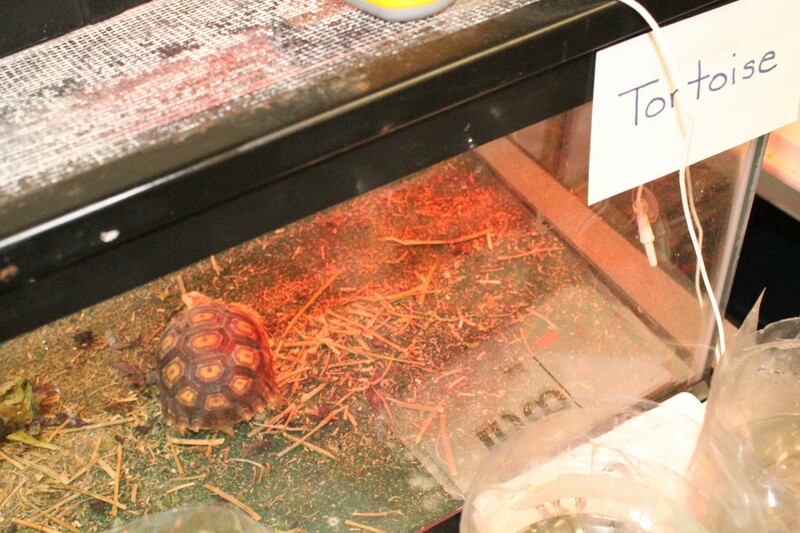 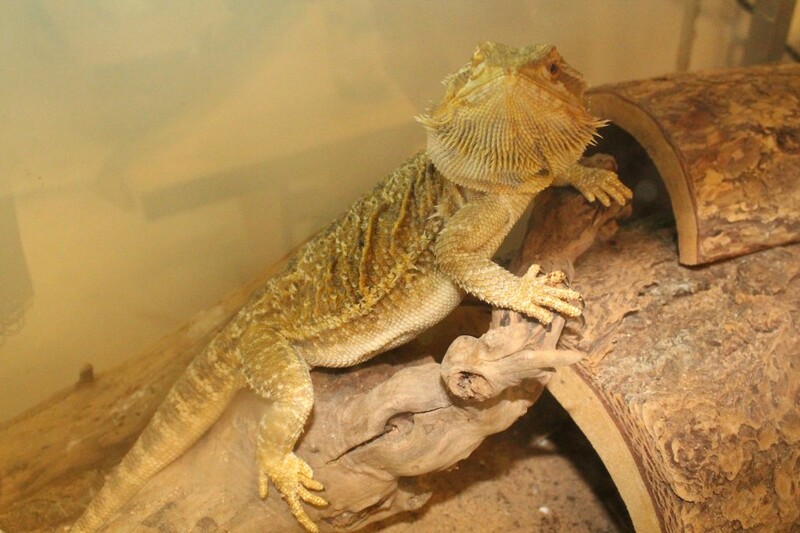 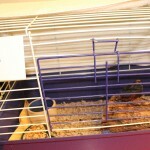 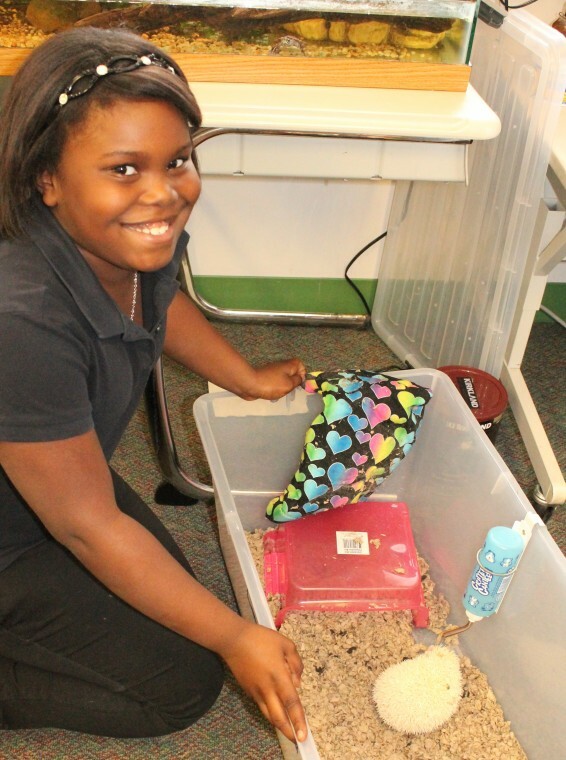 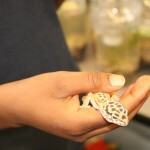 As the previously mentioned bunny scurries at her feet and the 8-month old corn snake named Butterscotch slithers around her hand, Edwards shares why it’s important to have nature in the classroom. 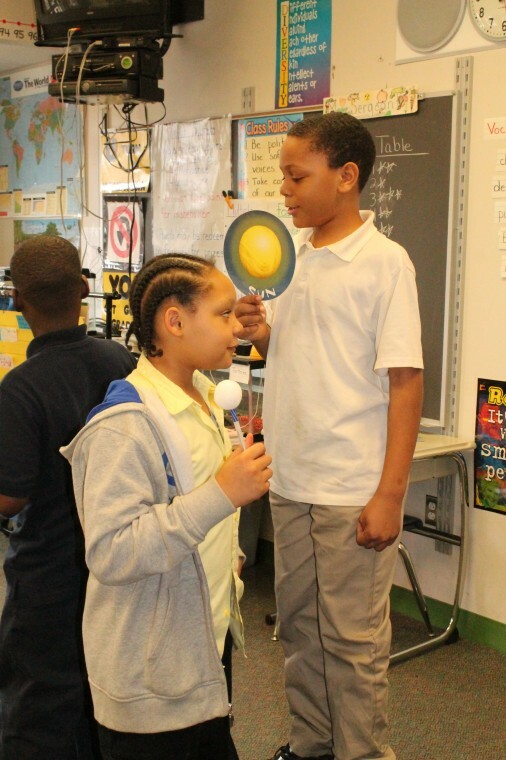 Upon briefly entering a neighboring science class, three students are at the front of the room—one representing the Sun, one the Moon, and one the Earth. 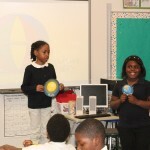 The Moon and Earth are walking around the Sun to act out orbiting. 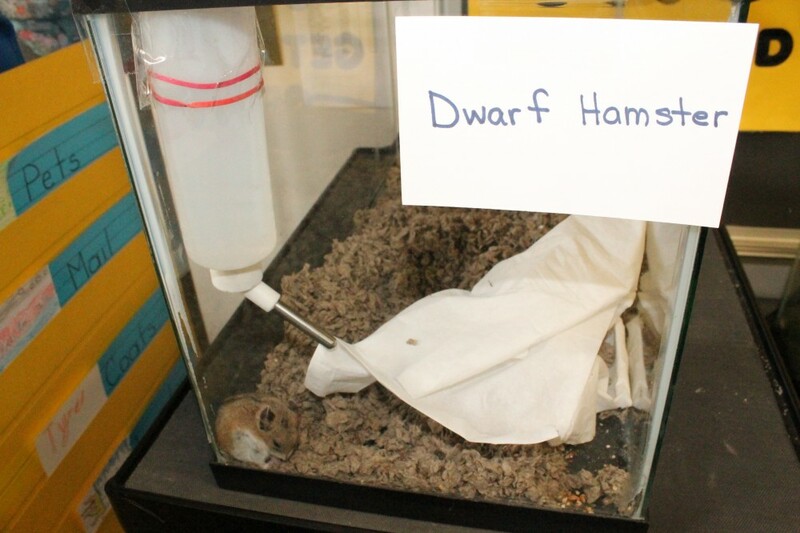 But the fun doesn’t stop there. 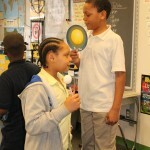 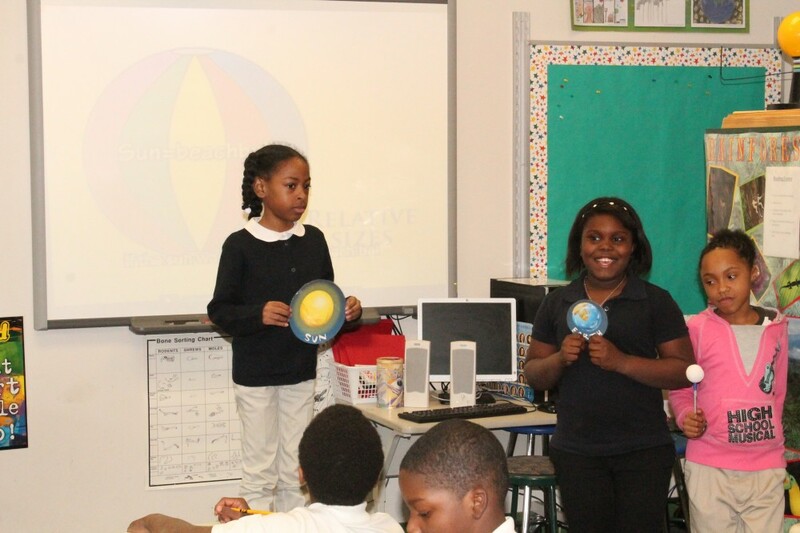 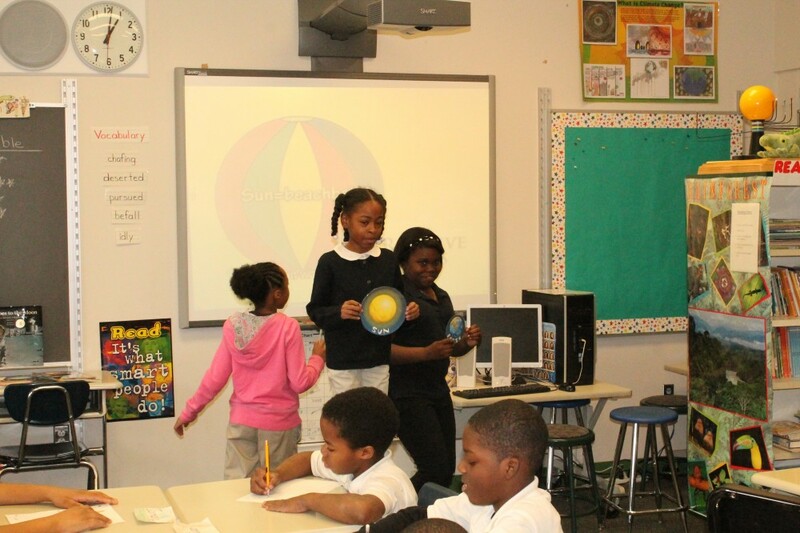 A trio of boys and a trio of girls take turns “group teaching” the course by leading the discussion on the solar system to see who does it the best. 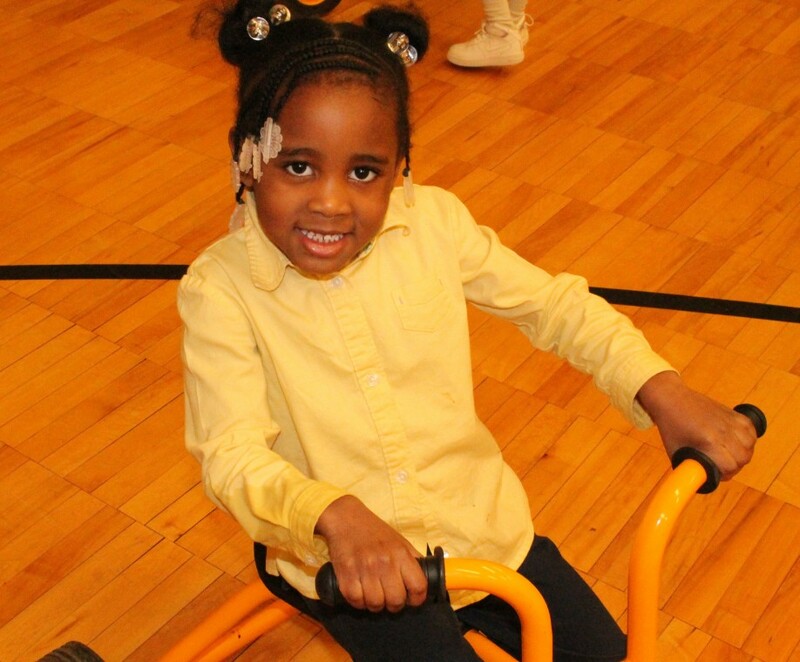 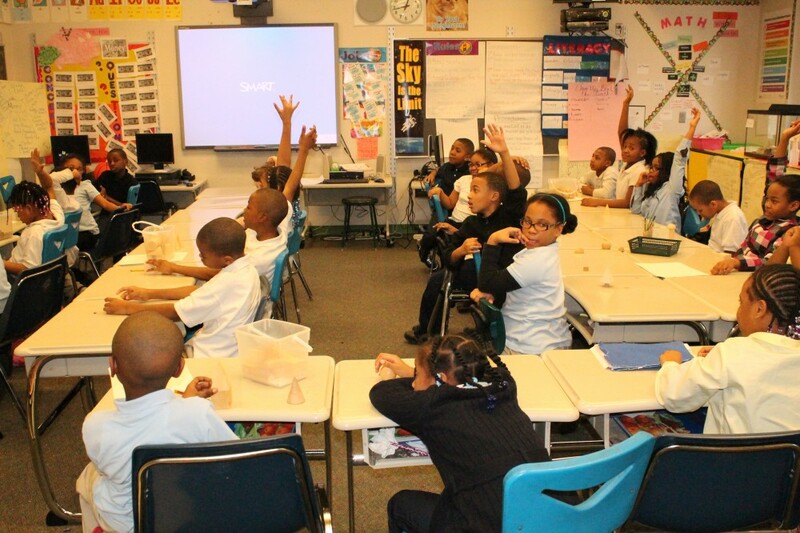 Walk into any classroom at any grade level, and you’re bound to see children either standing on their feet actively engaged in learning, or sitting in their seats frantically raising their hands, eager to shout out the right answer. 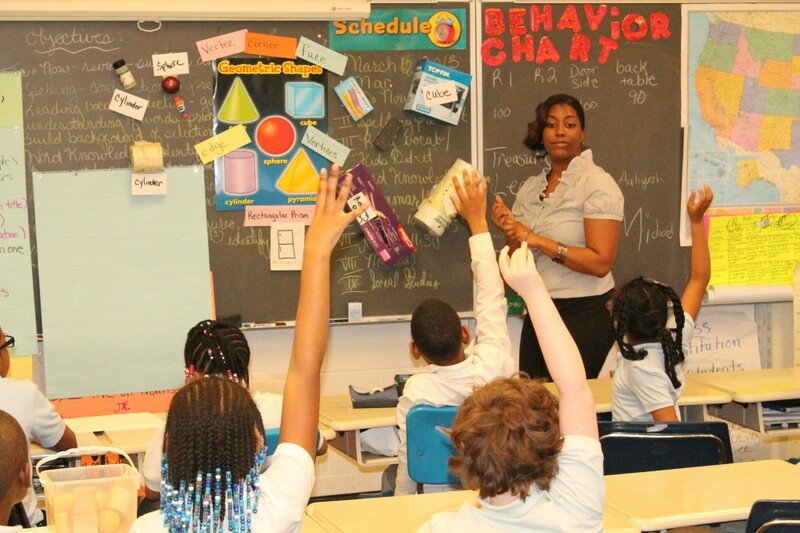 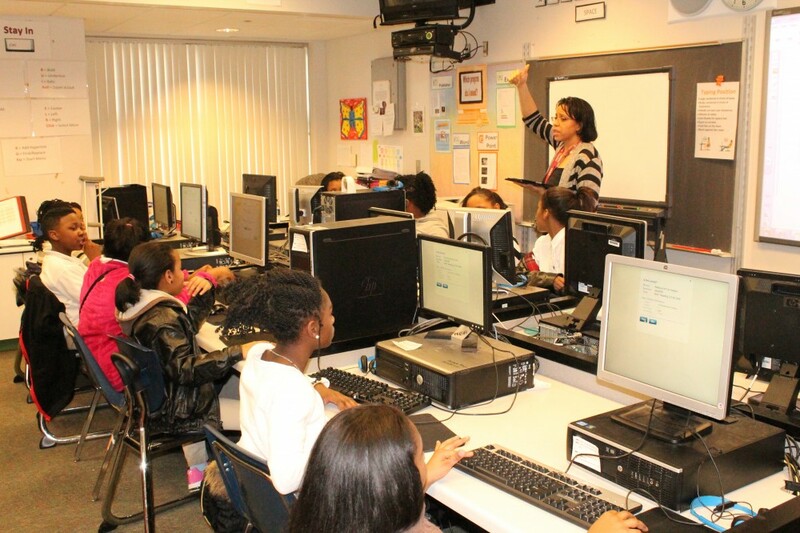 Although third-grade teacher Stephanie Stephens’ students aresitting tamely in their seats (at the moment), the students are excitedly waving their hands and snapping their fingers on command after correctly guessing the name of a geometric shape showcased by their teacher. 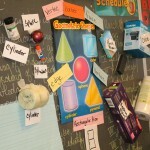 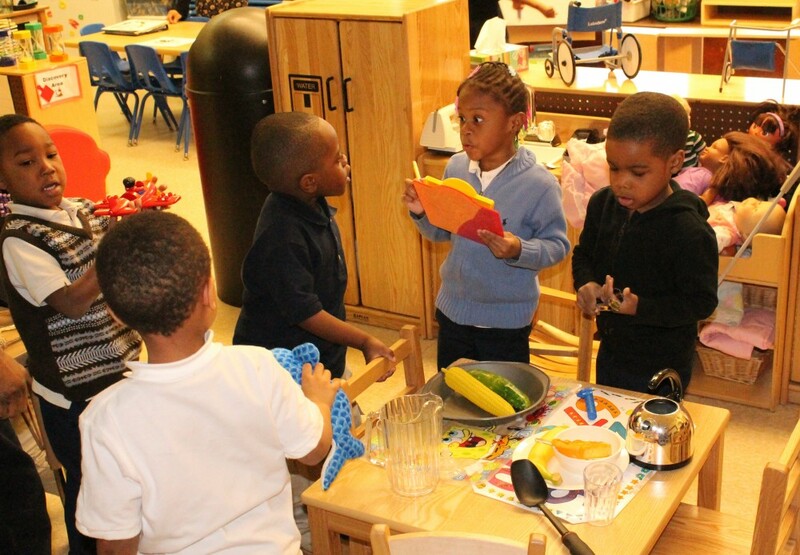 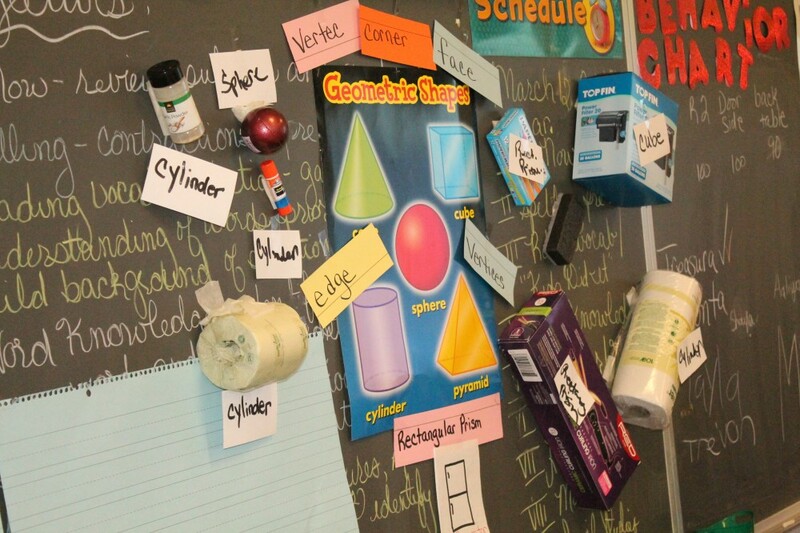 The students were asked to bring in various items from home that resemble geometric shapes. 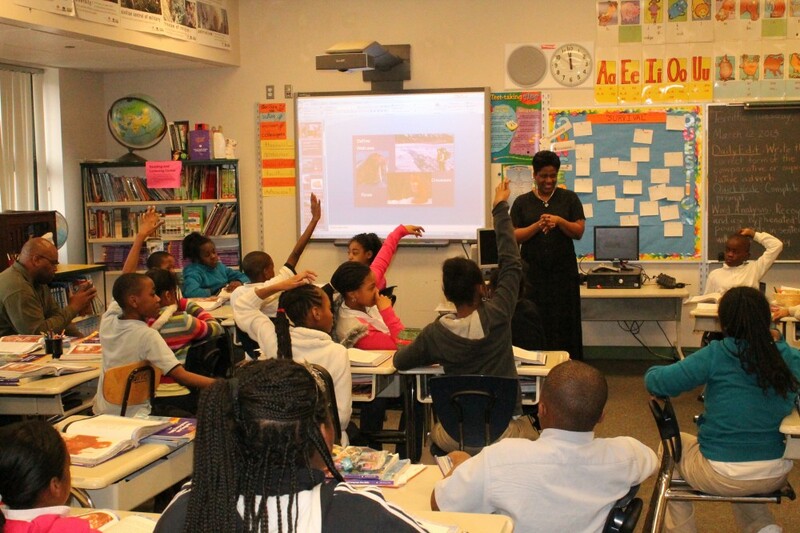 Stephens holds up a basketball in her left hand, then quickly raises her right hand to signal the students to guess which shape it is. 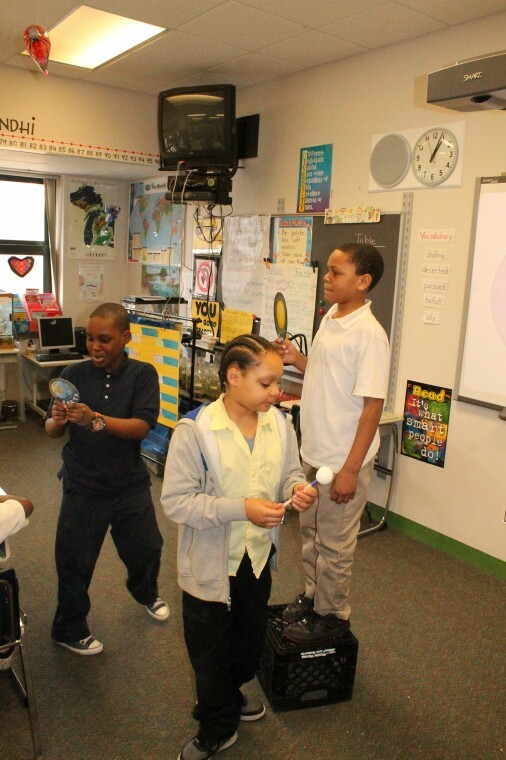 They all yell out, “sphere!” She then joins in on the excitement by snapping her fingers twice, and the students follow. 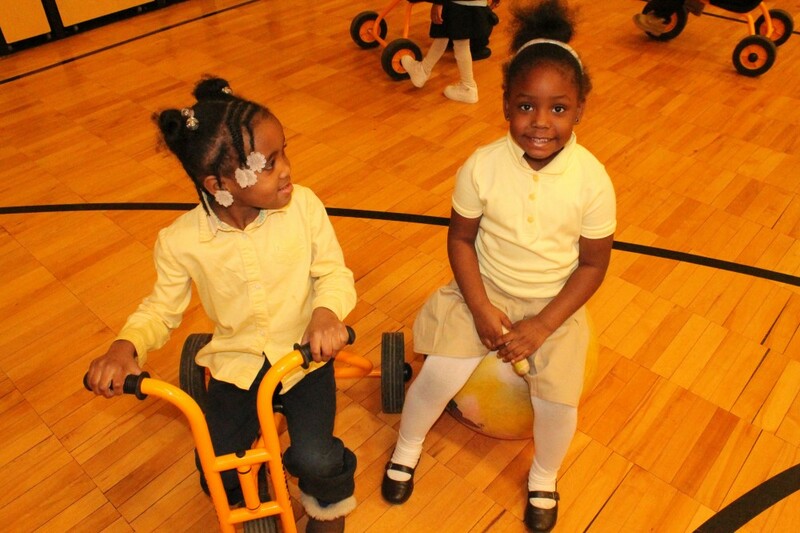 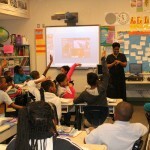 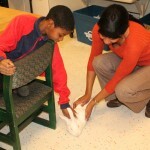 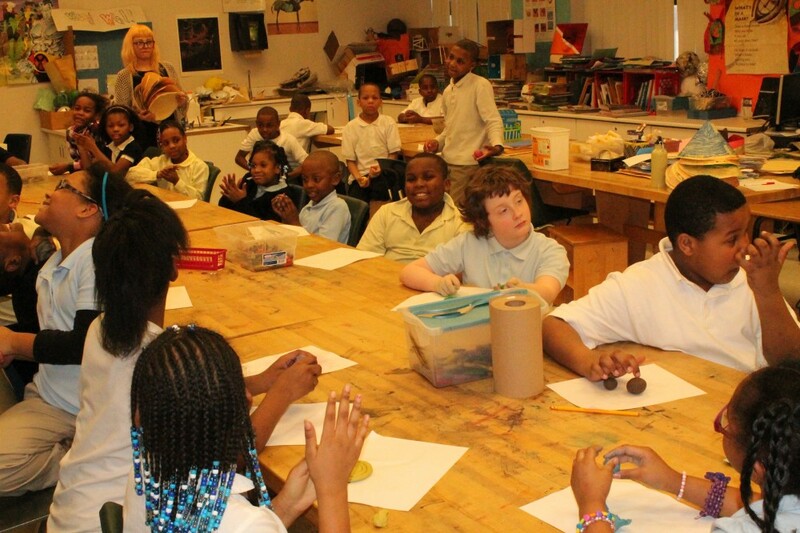 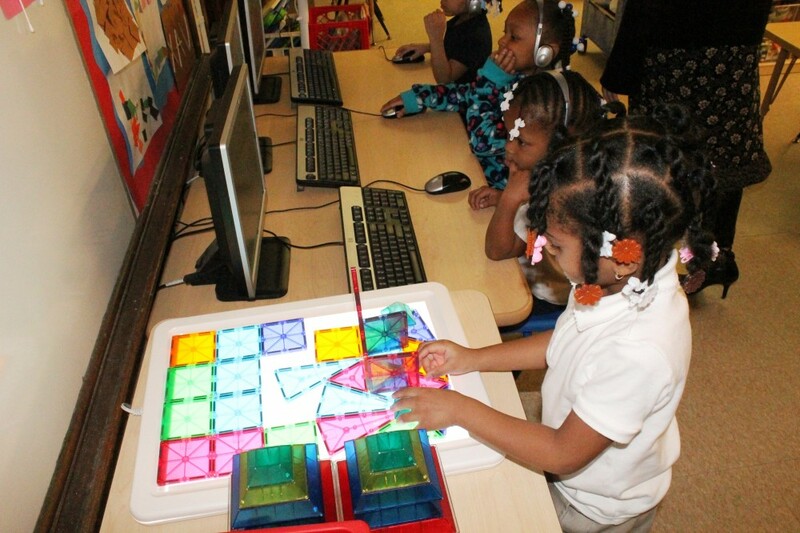 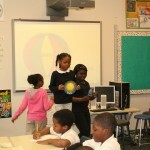 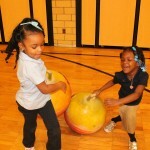 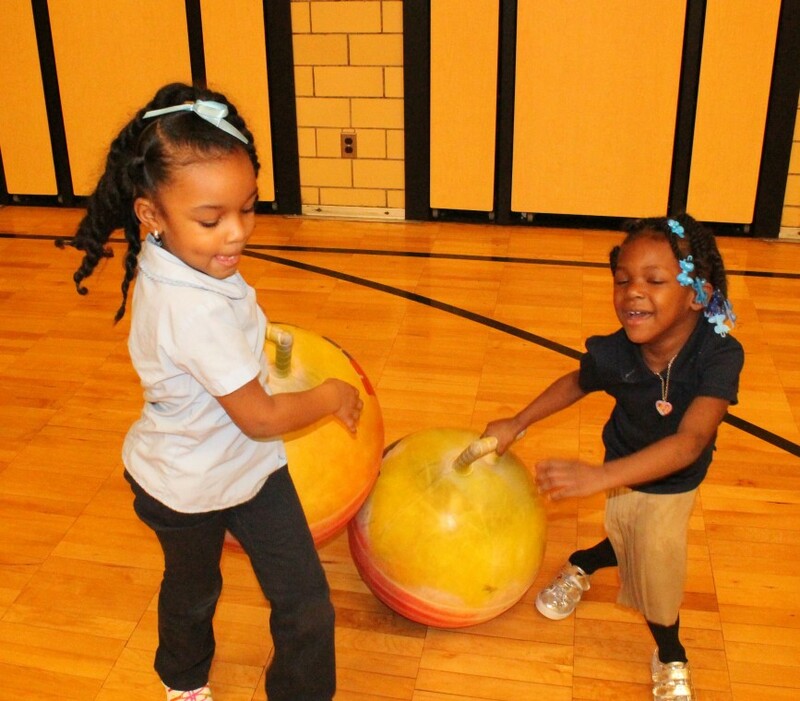 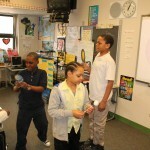 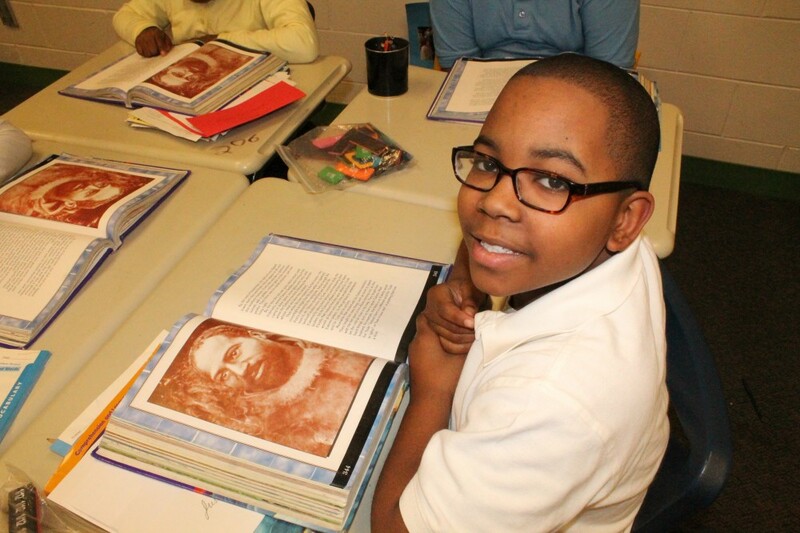 Seeing the students’ enthusiasm while engaging in fun, interactive learning is nothing short of exciting. 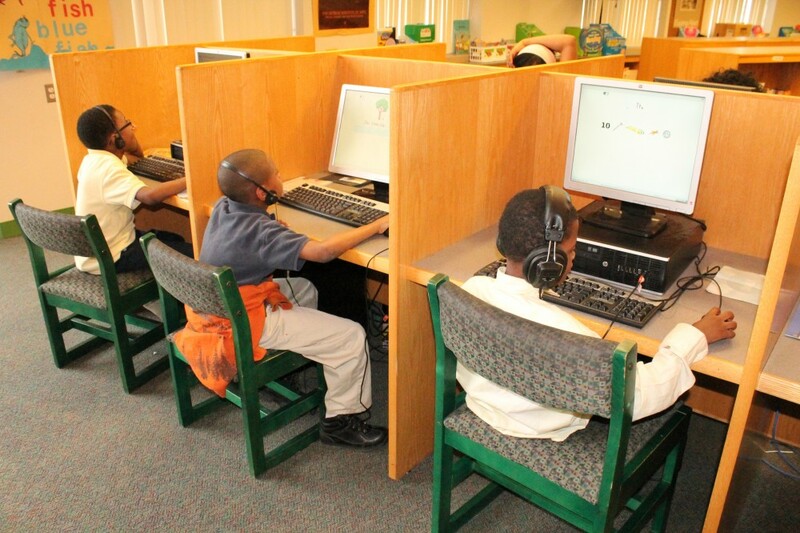 What’s even more inspiring is noticing how they only respond on cue. 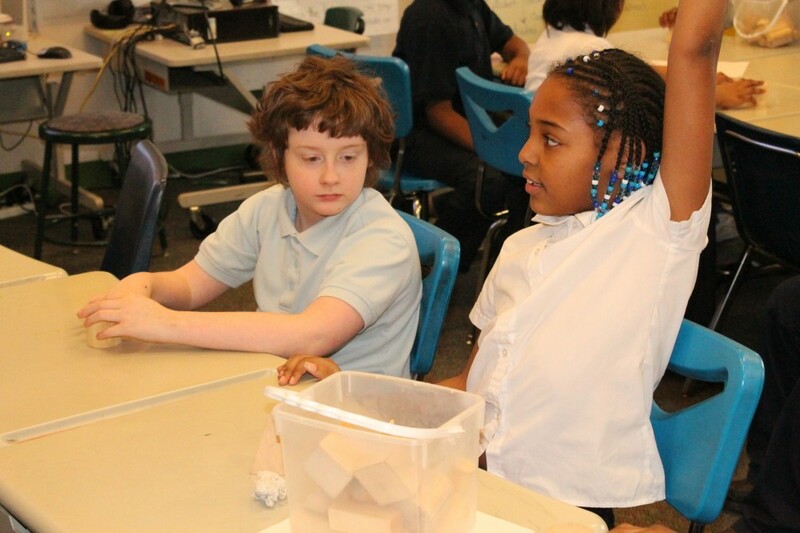 They don’t yell out of turn, and once the second snap of the finger is complete, they quickly quiet back down, anxiously waiting to see which geometric shape their teacher will showcase next. 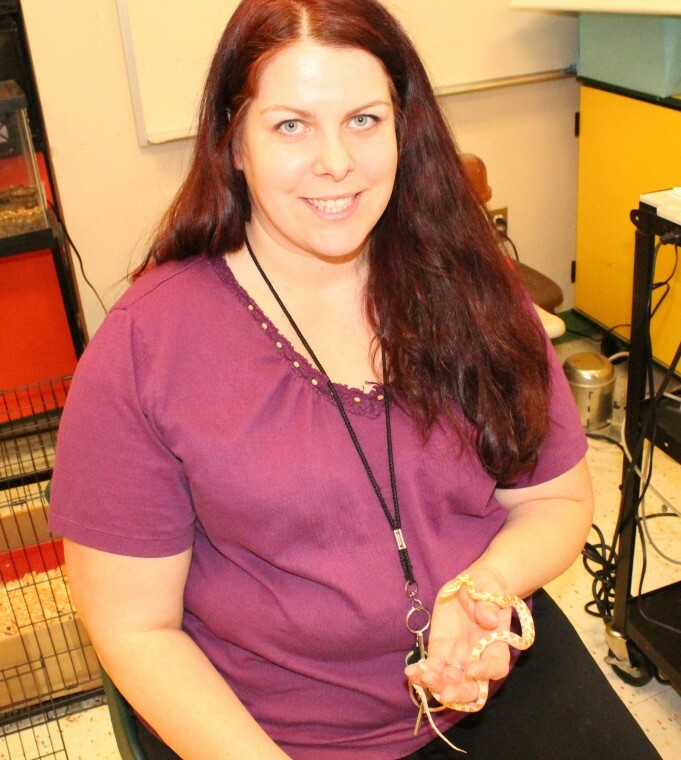 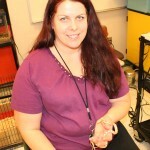 Stephens said she’s constantly collaborating with colleagues and thinking of new creative ways to engage her students, so much that it sometimes interrupts her sleep. 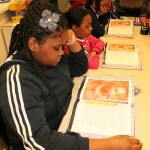 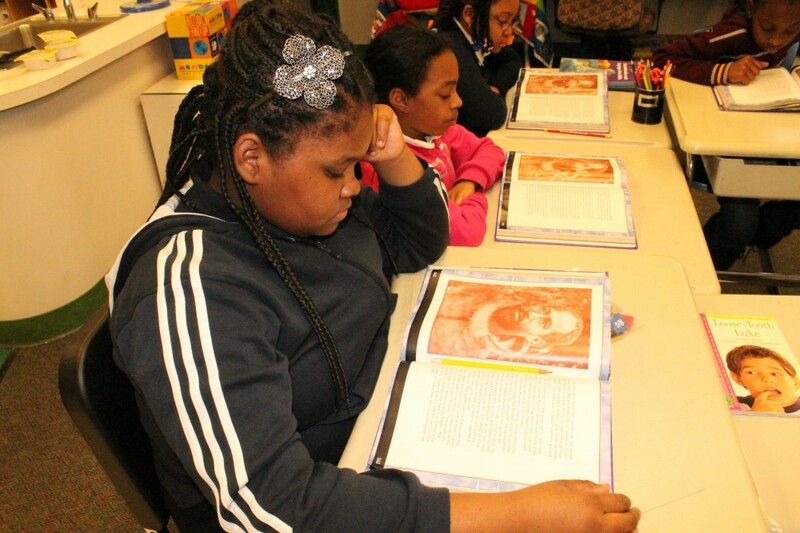 Reading is actually her favorite subject to teach because it can be applied to all subject areas. 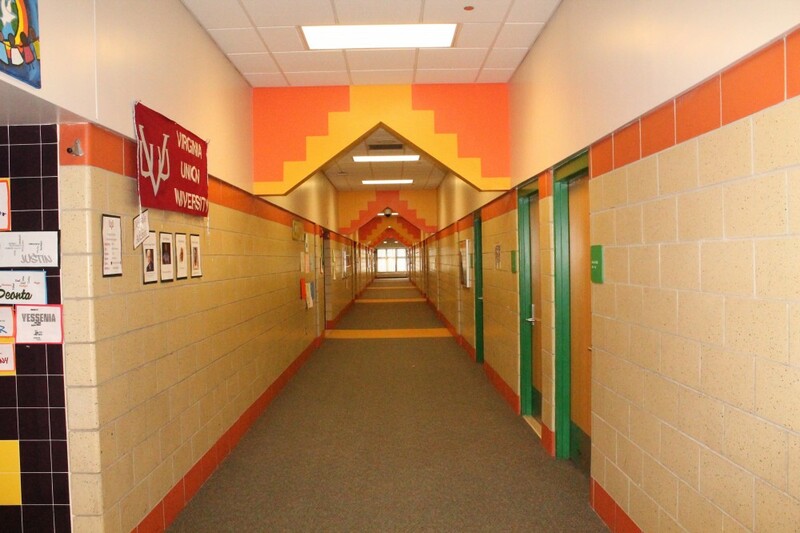 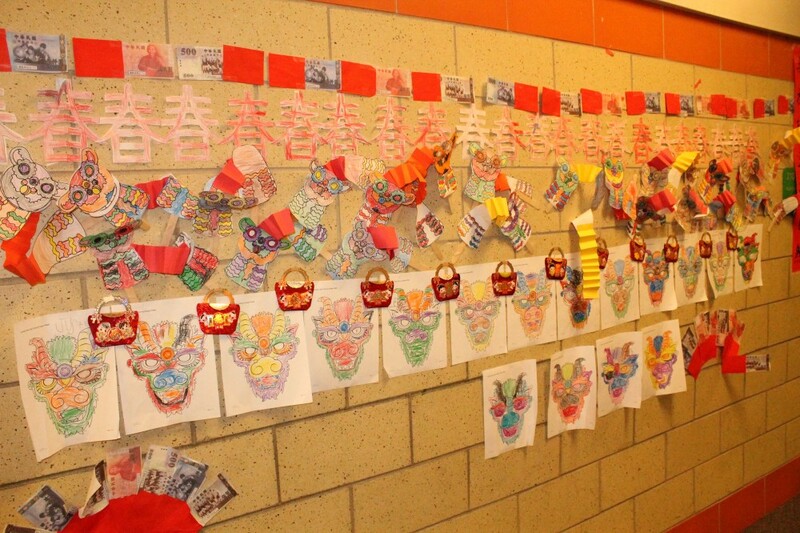 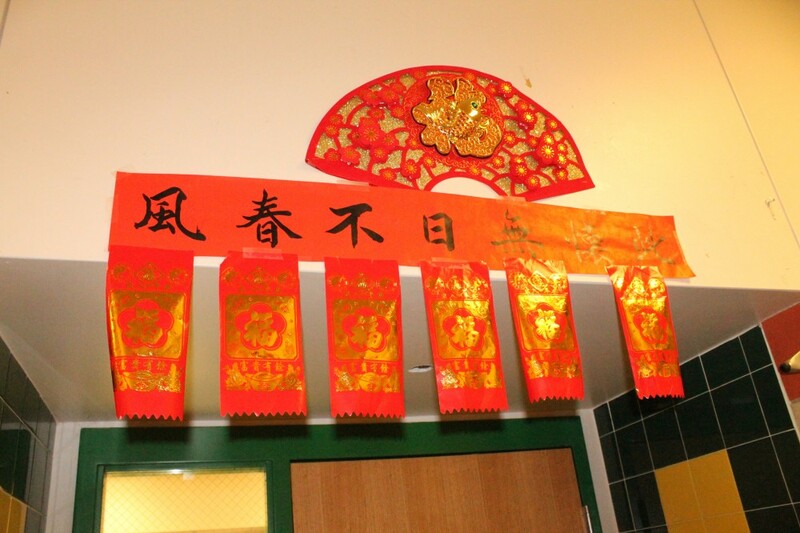 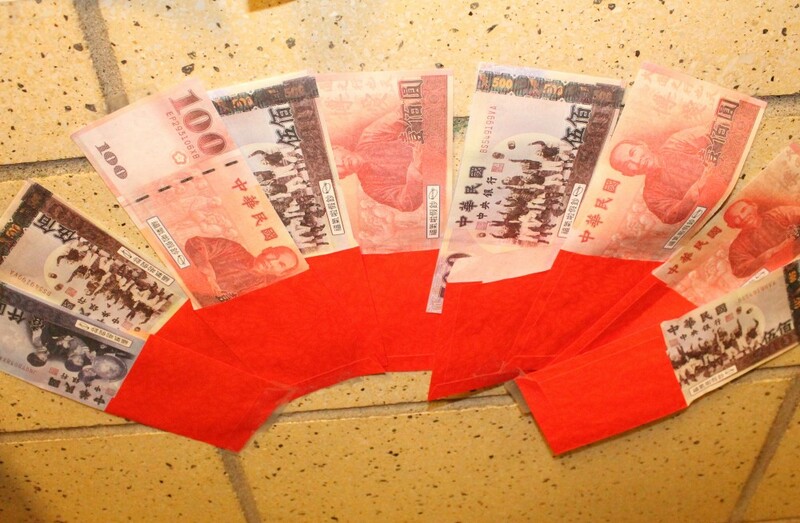 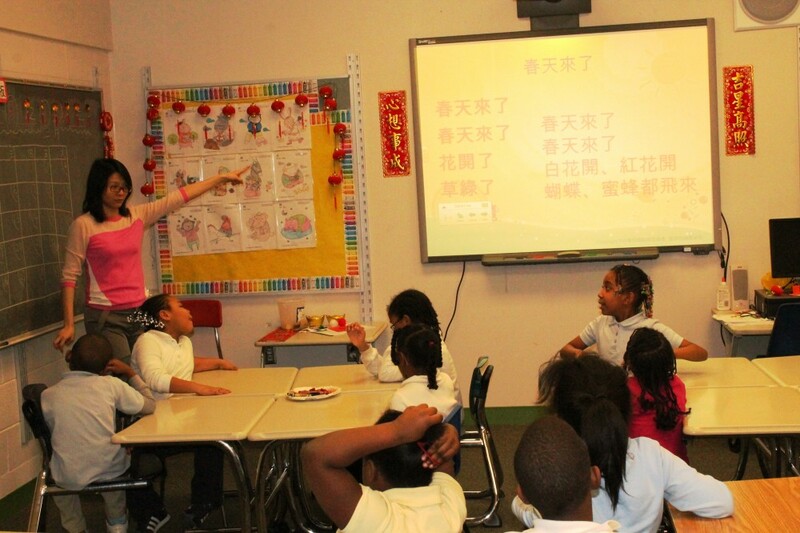 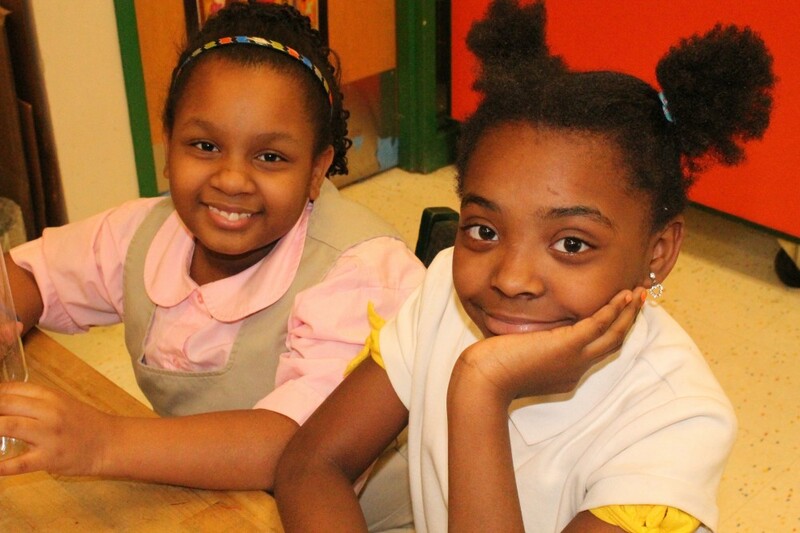 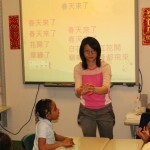 The Chinese Immersion Program is new at Ronald Brown Academy. 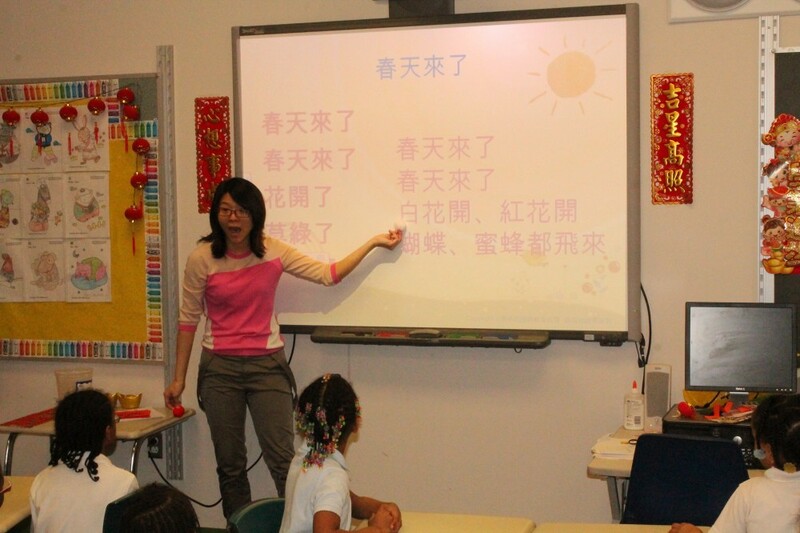 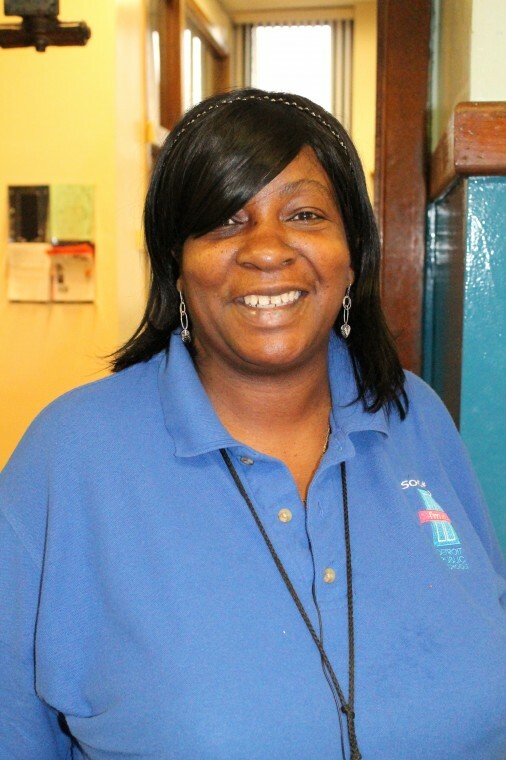 Program instructor Shaopeng Lin has been with the school since August of 2012.She said the students are excellent with mastering nursery rhymes in the Mandarin Chinese language. 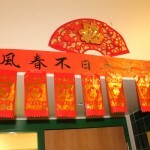 The students start the course by learning simple things like colors, body parts, seasons, festivals, and their most favorite: how to eat with chopsticks. 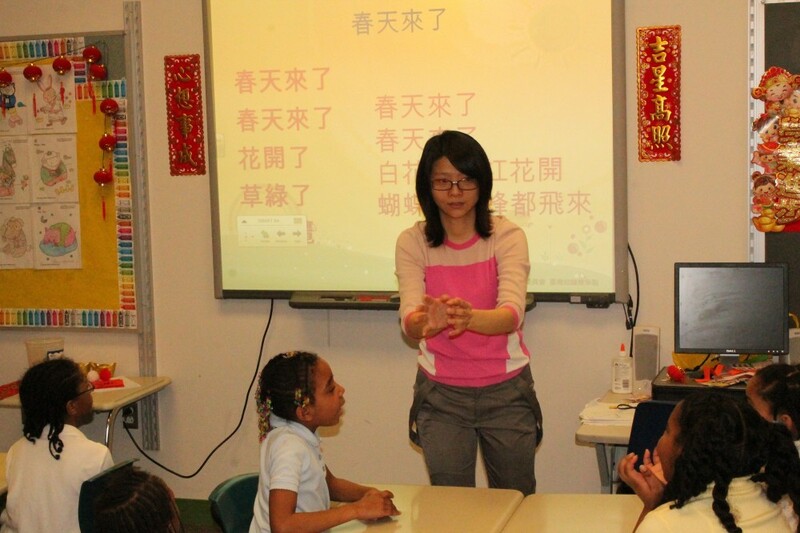 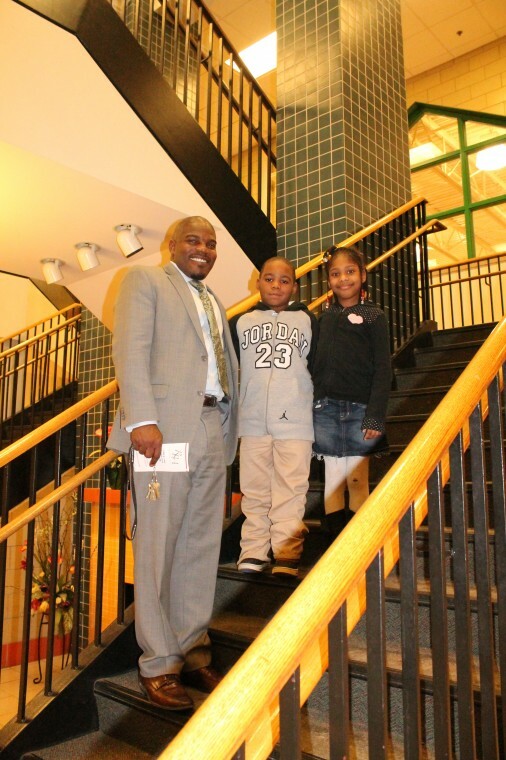 Principal Sewell said his goal with the new program is to give each student a few years learning Mandarin Chinese so that by the time they leave for middle school, they will be fluent in the language. 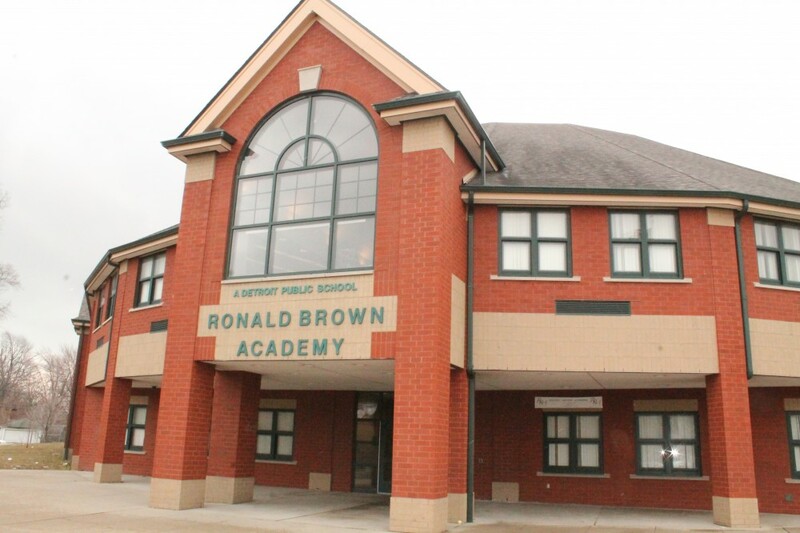 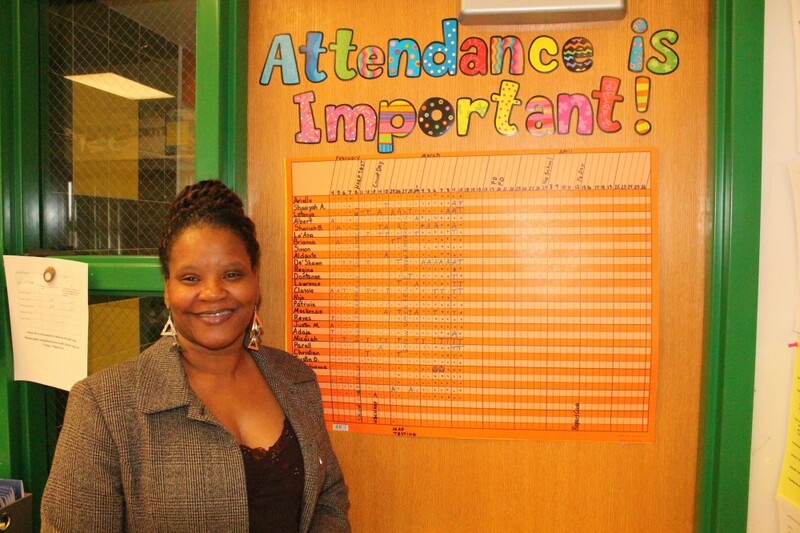 The teachers and staff members of Ronald Brown credit their dynamic list of school partners with helping students to excel. 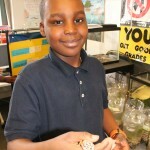 The school is a Skillman Foundation Grant recipient, a recipient of the Fruit Tree Planting Foundation’s Fruit 101 Orchard, a Michigan Green School and has partnerships with Cranbrook Institute of Science, St. John Providence Hospital, Macy’s Make a Wish Foundation, WSU Fellows Tutoring, Gleaners Food Bank, Belle Isle Nature Zoo, Michigan Alliance for Environmental and Outdoor Education, A World in Motion, Michigan Forest Foundation, Urban Forestry, Leukemia & Lymphoma Pennies for Patients, Impact Church, Rouge Education Project, Donors Choose Organization, the NASA Explorer program and more. 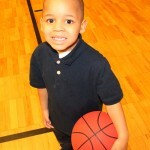 Sewell said he and his staff are in the planning phases of a new FBI Jr. 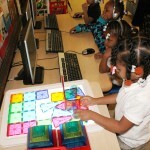 Agents program. 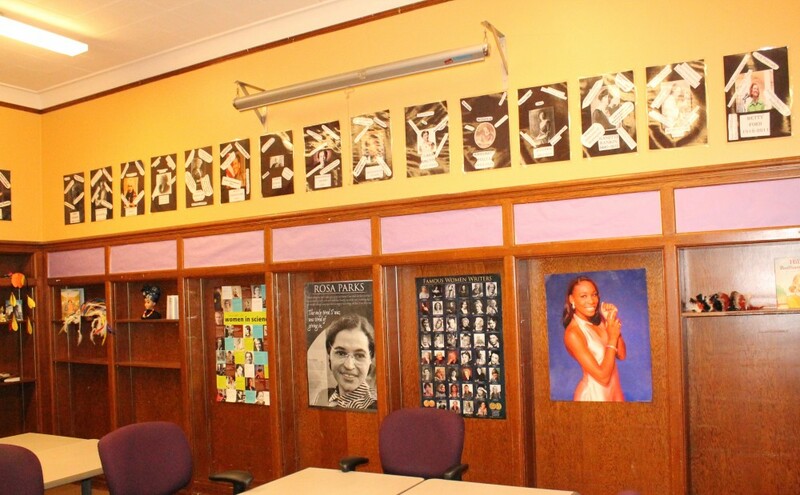 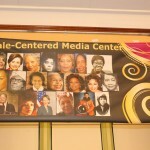 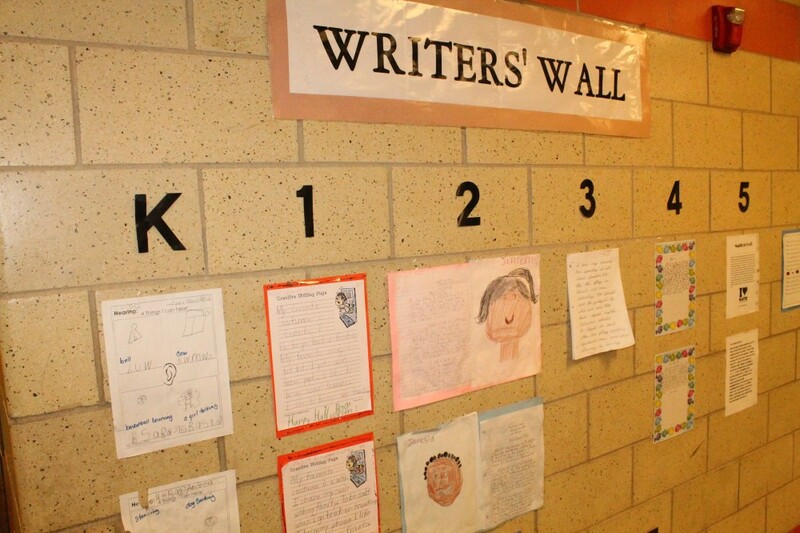 The school also has a special Female-Centered Media Center showcasing icons from all ethnic backgrounds and genres. 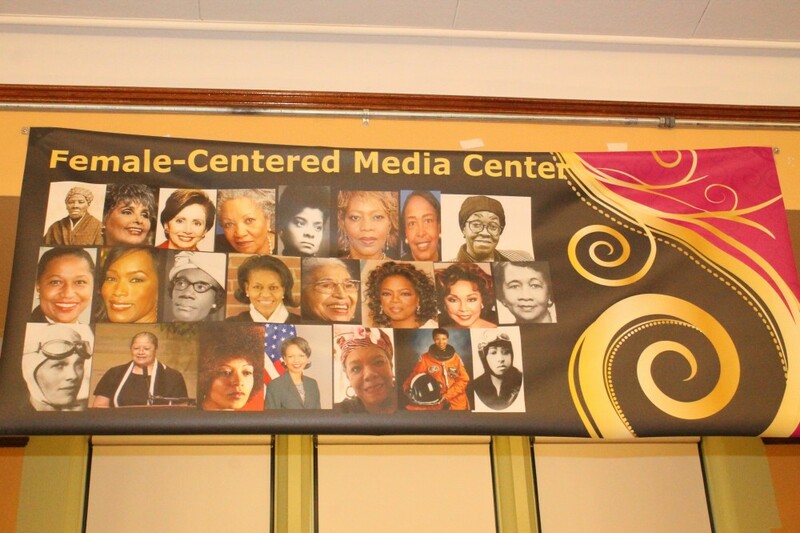 “The goal behind the Female-Centered Media Center is to uplift our young ladies and our teachers, and show them the great things that our women have accomplished…things that they too can accomplish,” Sewell said. 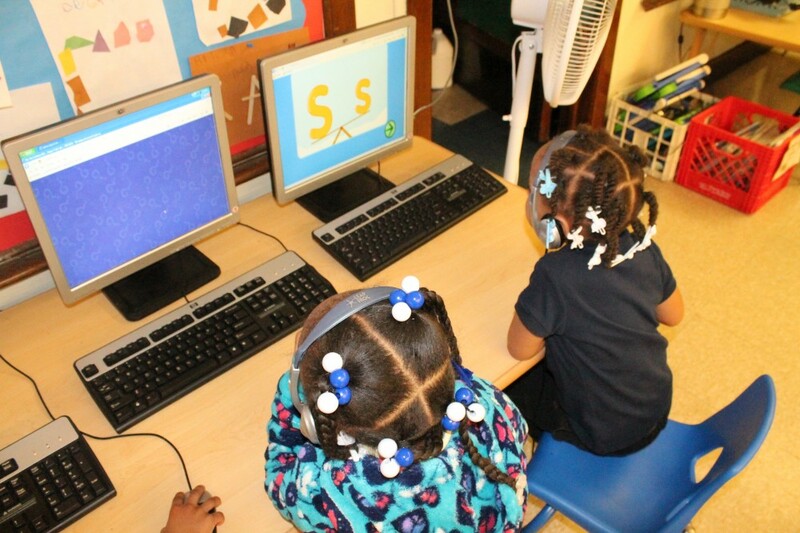 Ronald Brown Academy students participate in TutorMate, an online tutoring program that connects Comerica Cares volunteers with DPS students. 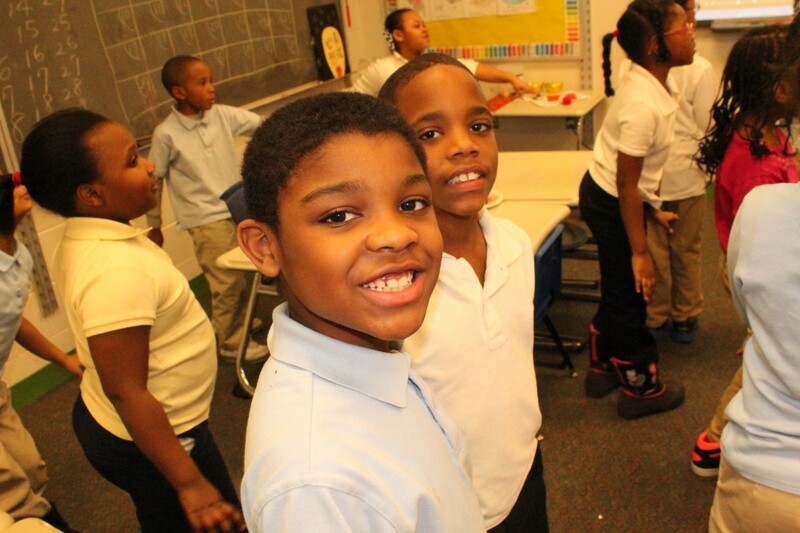 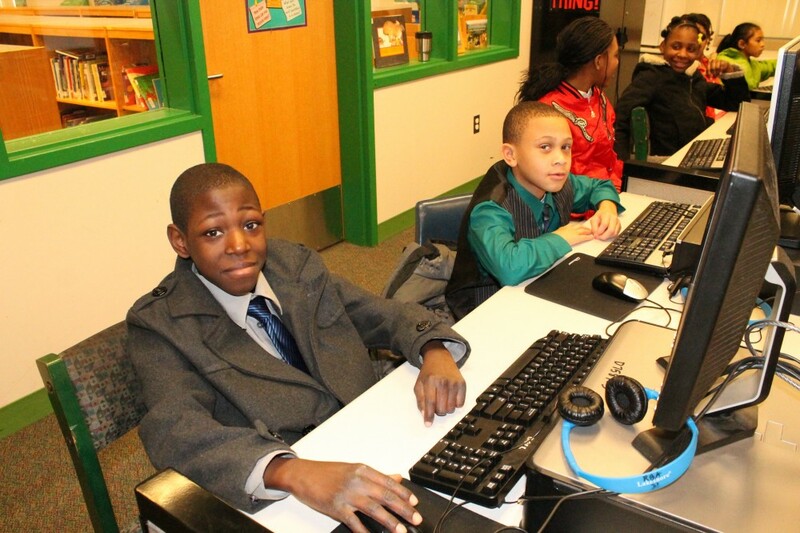 The program, aptly named TutorMate, allows Comerica Cares volunteers working from offices throughout metro Detroit to tutor students without ever leaving their desks. 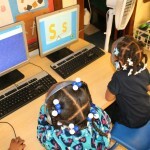 An online platform allows students and volunteers to see the same computer screen, where together they can complete activities geared toward improving reading and spelling skills. 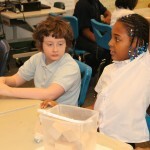 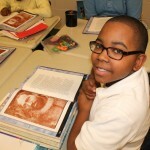 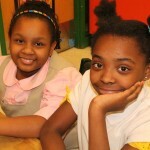 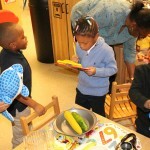 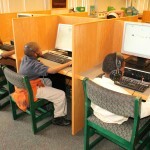 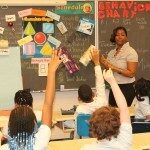 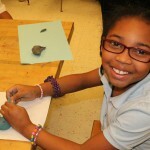 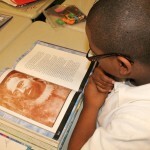 DPS schools participating in this year’s TutorMate program, include Ronald Brown Academy and Bennett Elementary School. 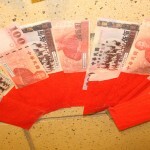 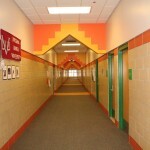 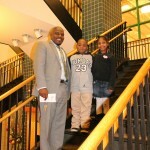 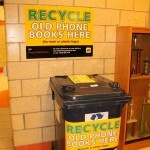 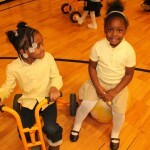 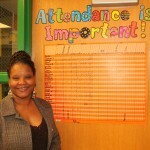 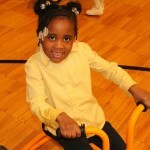 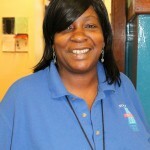 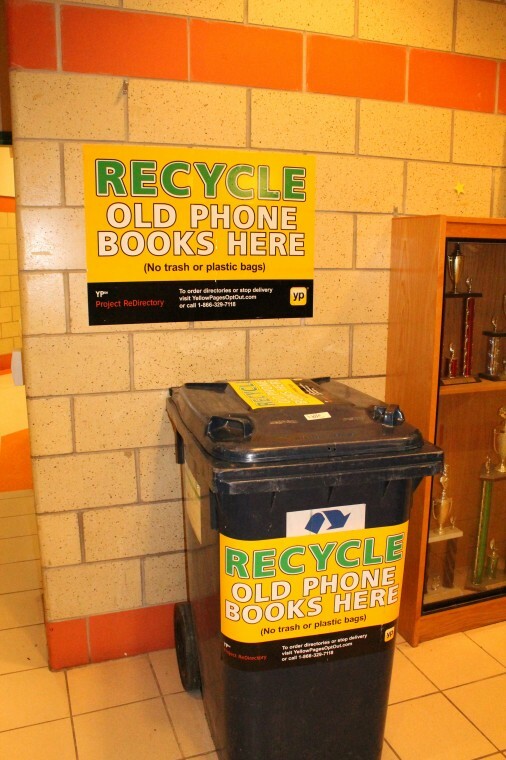 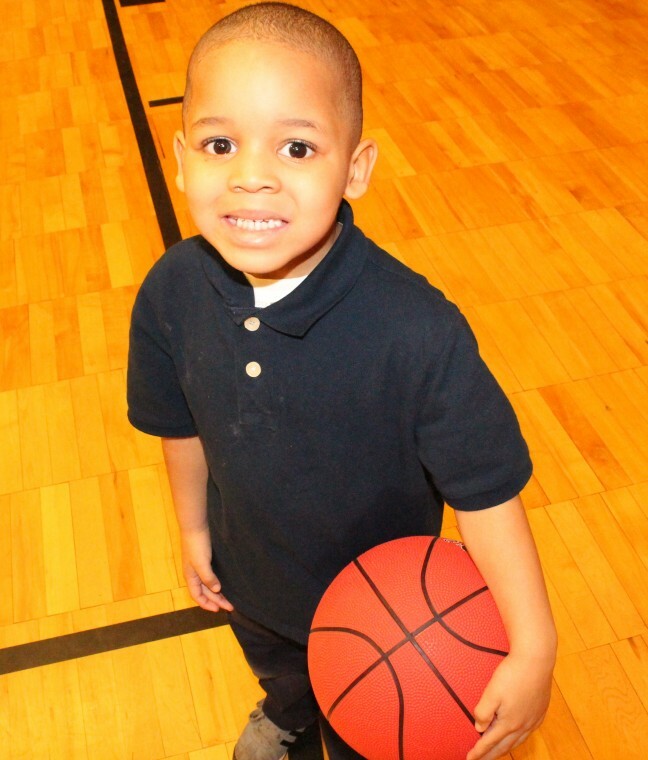 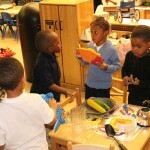 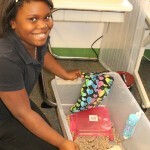 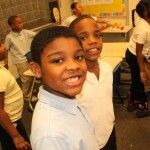 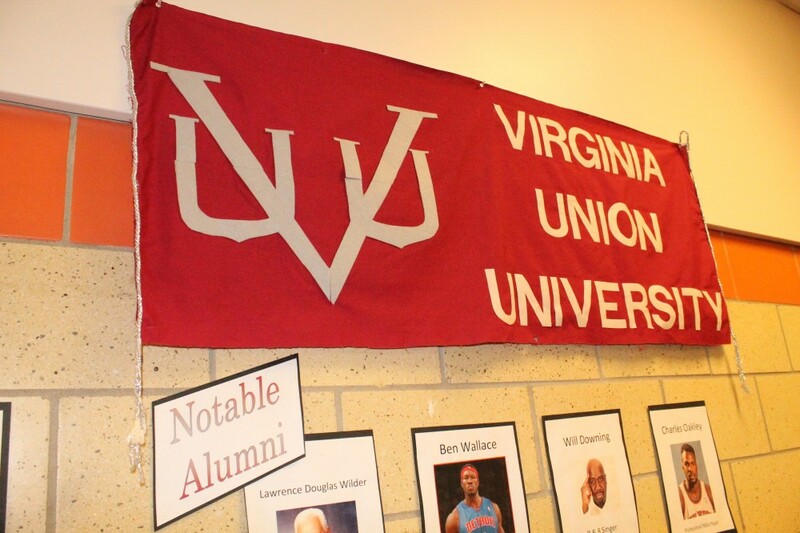 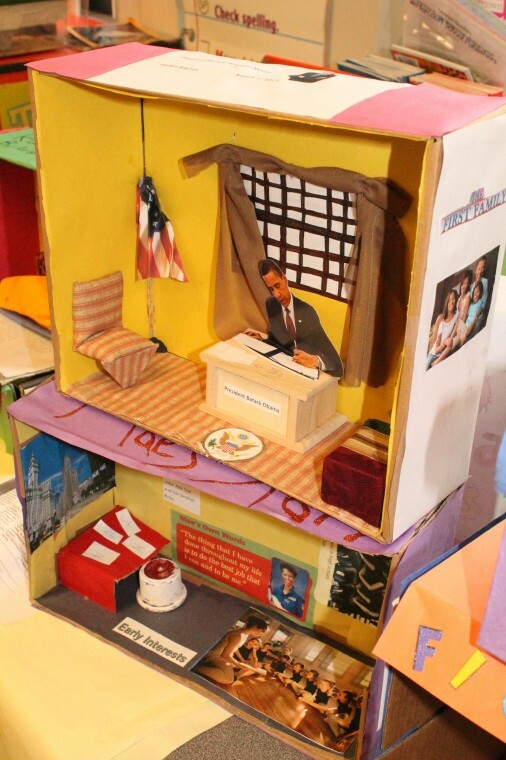 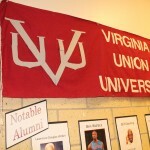 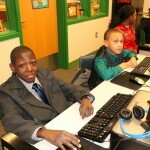 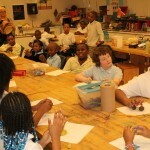 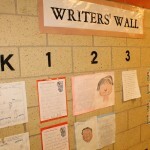 This entry was posted in Info News Center, News and Press Releases, Student Showcase and tagged 333, School of the Week.